Over the last 31 years, Ohio Wesleyan underwent several changes, but President’s Ball remains an unchanged, annual holiday tradition at the university. 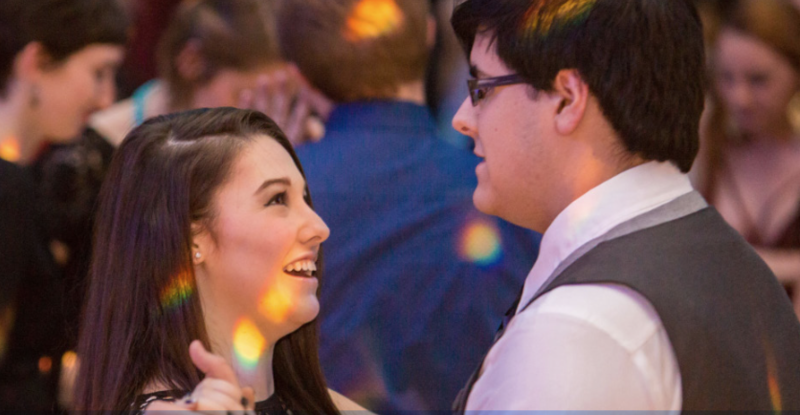 President’s Ball is a formal dance event attended by students, faculty and staff, and is typically held the Saturday after Thanksgiving. Since the ball’s inception in 1985, the only differences are the addition of a late-night DJ and the location. Originally, the event was held in Slocum Hall, but relocated to Schimmel-Conrades Science Center because moving the tables in Slocum to make space for the ball was inconvenient, said Nancy Rutkowski, director of student leadership and involvement at OWU. However, many aspects of President’s Ball have stayed the same over the years. “It has always been sponsored by the President’s Club, the Jazz Band plays, there is great food and the price has stayed the same ($5 per person) for  years,” Rutkowski said. The ball was created at the suggestion of then sophomore Gay Grossman ’88. Former OWU President David Warren wanted a spirited, holiday event, so he encouraged the idea, Rutkowski said. In 1985, Grossman planned the first President’s Ball and eventually married her date, Steve Grossman ’87, according to the OWU website. Now, the gala is organized by the President’s Club and features a cocktail hour for the senior class. “Everyone was encouraged to wear bright colors and it turned out great,” Rutkowski said. The theme for the 2016 President’s Ball is “Take Flight for the Night” and will be held from 9 p.m. to 1 a.m. Saturday, Dec. 3 in the atrium of the Schimmel-Conrades Science Center. The event will feature music provided by DJ Matt Ryan and OWU’s Park Avenue Jazz Band. President Rock Jones said he and his wife Melissa enjoy attending the ball every year and appreciate the work put forth by the President’s Club who planned the event.